Adj. 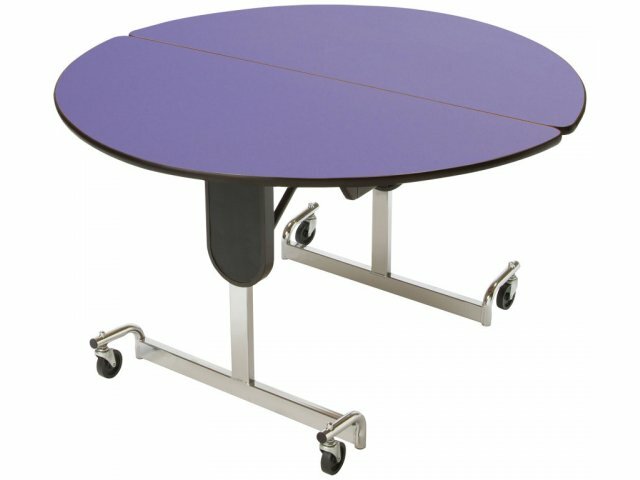 Height Round Cafeteria Table - Chrome 60" dia. This 60-in. 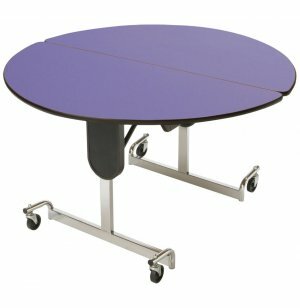 round table from Mitchell Furniture Industries adds a degree of flexibility since the legs are adjustable in height, a feature not usually seen in cafeteria tables. Set the table height depending on the age of the students who will be sitting around the table. For All Ages: Table height can be adjusted from 22 to 29 in. (or from 29 to 36 in.) to accommodate children in different grades.